Karl Foerster, noted as an esteemed nurseryman in his time, discovered this feather reed grass in the Botanical Gardens in Hamburg. Fascinated by its aesthetic, Karl decided to list it in his 1939 nursery catalog and include it in his 1950 book The Use of Grasses and Ferns in the Garden. The inclusion in these publications was enough to thrust this grass into popularity where it was introduced around Europe and finally found a home here in the United States. Because of the discovery, the cultivator name honors Karl Foerster for launching it into commerce in the mid-century. You may be thinking, how awesome and exciting can a grass really be? Well, I can tell you that the Karl Foerster grass is known for its beauty, reliability, versatility and dependability in the landscape. When was the last time you used all of those adjectives in regards to a plant? This perennial vertical masterpiece is one of the first plants to start growing in the spring and keeps its composure throughout the winter season. The Karl Foerster grass is one of the easiest plants to pick out of the garden by name. The 2-3′ long deep, shiny green leaves are the reliable sturdy base for the free-spirited feathery flowers on top. The long top flower tufts transition in color throughout the seasons and provide an aesthetic show along the way. The initial light pink flowers gain a tan hue in the fall and the whole plant rests in a golden slumber in the winter time amongst the snowfall. This grass matures to 3-5′ in height and remains structurally sound into the next season, providing vertical interest in your garden year-round. The seeds of this ornamental grass are actually sterile. So, without the danger of self-seeding, it is a safe choice for your garden and eliminates any worry of an invasive quality. Growing fairly well in Pennsylvania gardens, it is known to be a cool-season grass that is best planted in the spring in a full-sun to partial shade area in the landscape. Versatile by nature, it can tolerate most soils from heavier clay, to dry, to well-drained soils alike. Free from serious insect and garden plagues, it is often left alone by deer and other wandering wildlife. When you live around Northeast Pennsylvania, hearing the words “deer resistant” when referring to landscaping, should be music to your ears. Known as one of the most elegant plants in the landscape in relation to motion, this grass will sway in the gentlest of breezes, virtually giving your landscape new life. This plant’s low maintenance aspect is enough to keep any homeowner happy, only requiring a trim in the early spring to make way for new growth. The gentle movement accompanied by the rustling sound in the wind is for sure an added visual and auditory bonus. 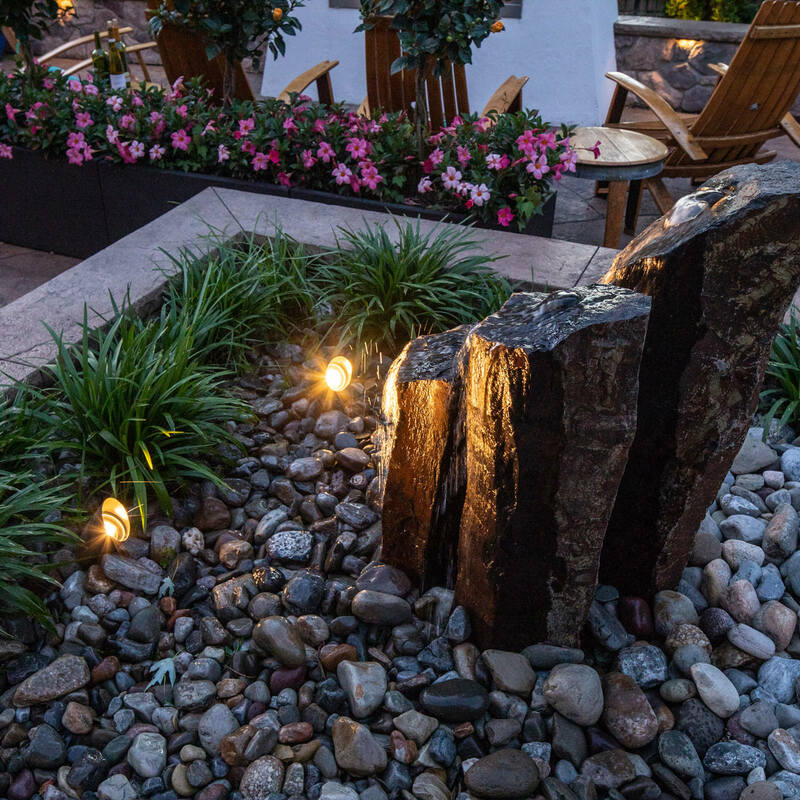 For landscaping drama, try planting it in clumps to incorporate a strong vertical accent, or you can plant in rows to provide an organic spin on a privacy feature to block out those nosey neighbors or intersecting roadways. 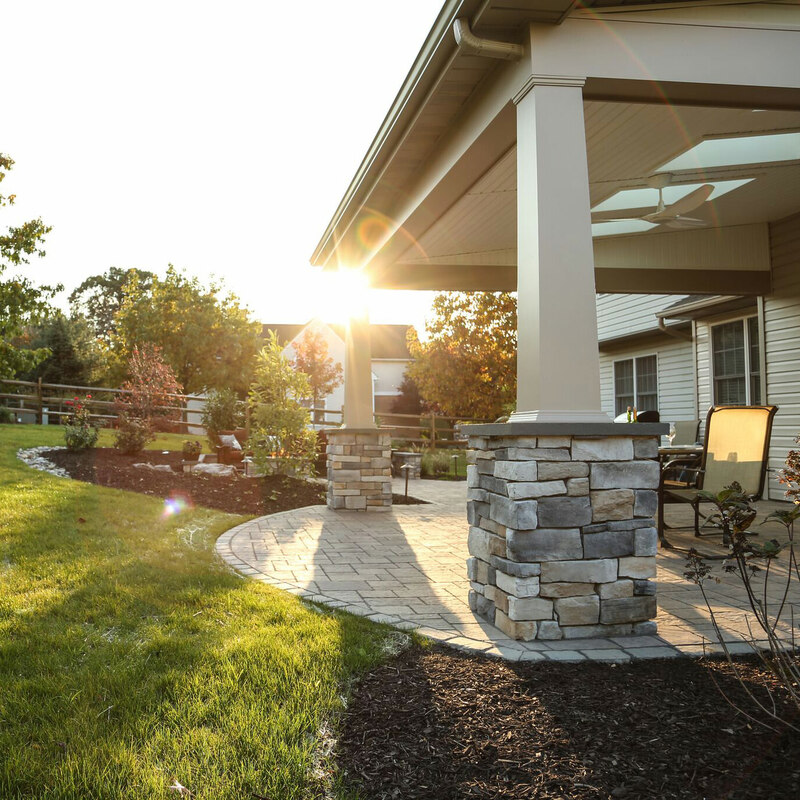 The feathery tips of this grass are the perfect solution to soften static features and hardscapes in the backyard like fences, walkways or retaining walls. 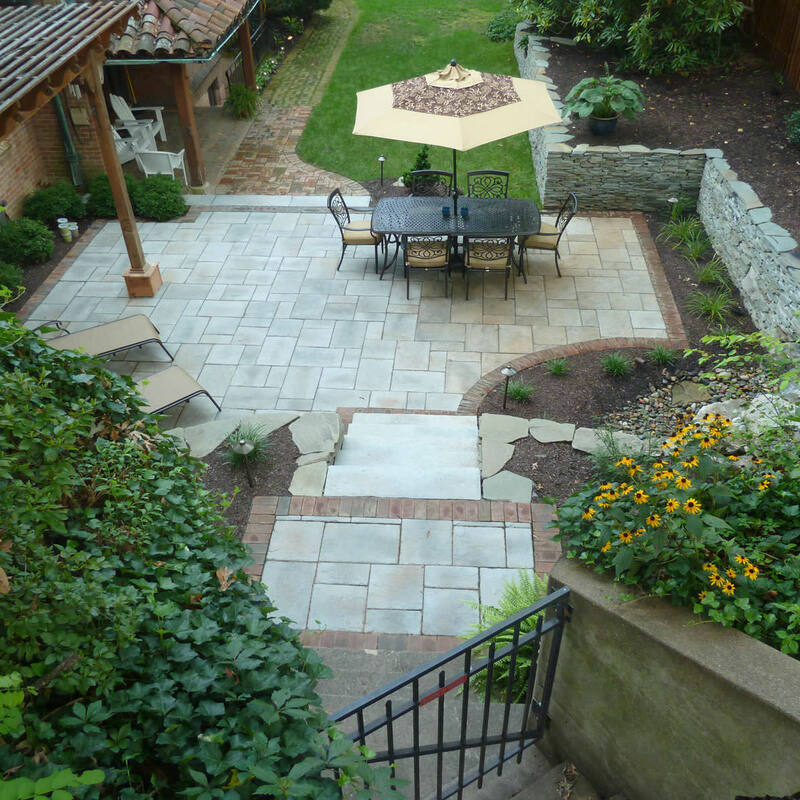 Since it grows up rather than out, it is an ideal accent for the smaller spaces withing your landscape. An easy choice as an addition to your landscape, Karl Foerster feather reed grass is guaranteed to dazzle your landscape and relieve the stress from your day. 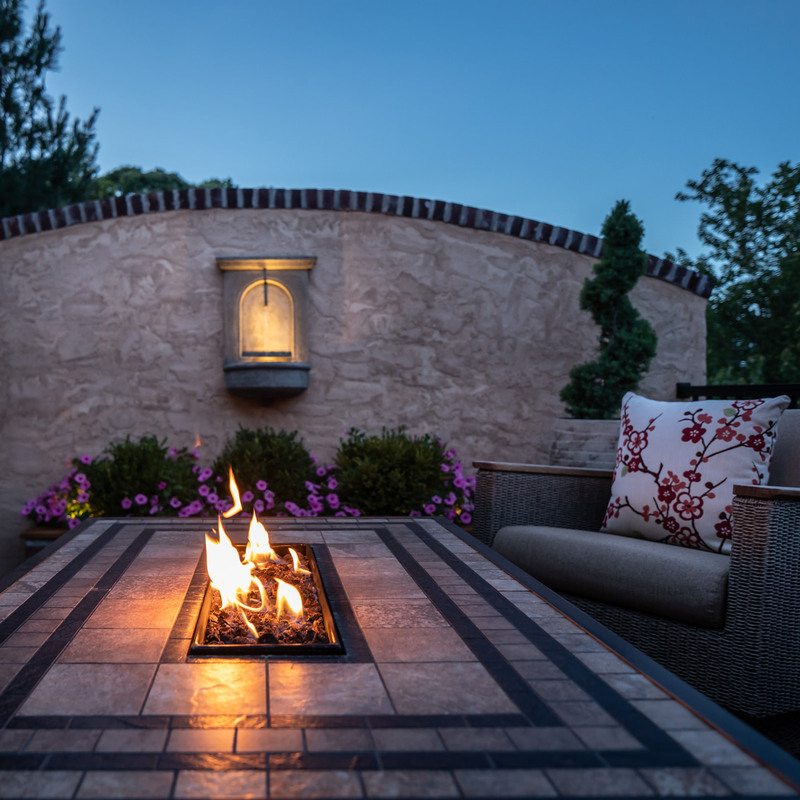 Reaching out to MasterPLAN Landscape Design is also a guaranteed way to take stress out of your day when it comes to the landscape design process! MasterPLAN handles everything from permits and inspections to scheduling and full project management, so you don’t have to! 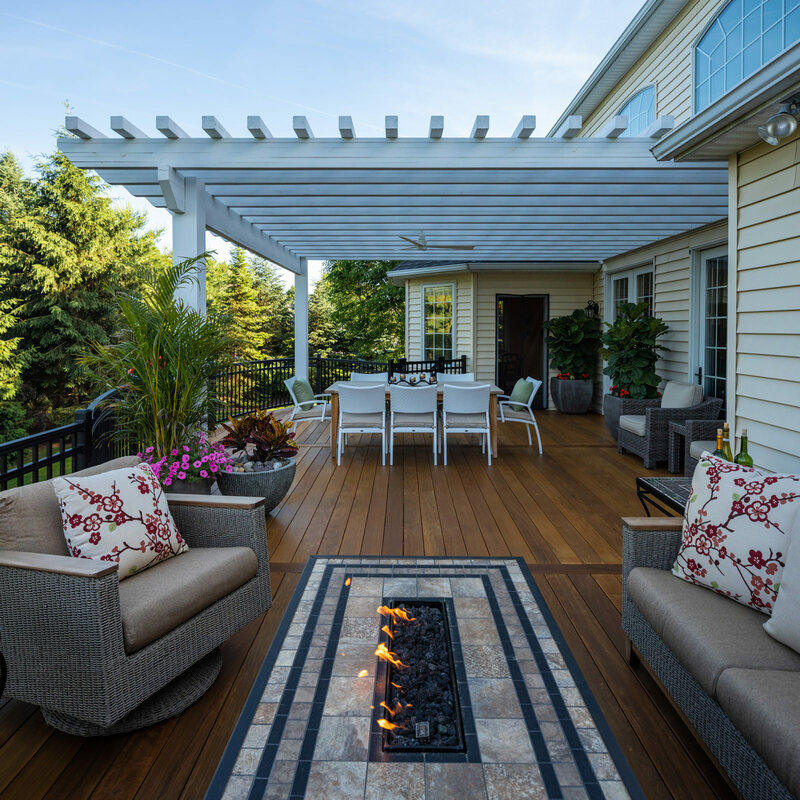 Whether you are looking to step up your property’s landscape design or start fresh with a complete overhaul, MasterPLAN is ready to help you with your backyard transformation! It all begins with a conversation, so when you are ready to chat, we are ready to listen.